Can you believe Thanksgiving is already upon us? This year has gone by so fast, but I'm kind of ok with that because I happen to love Thanksgiving. While trying to get inspired for our Thanksgiving table decor I came across some really beautiful and creative table settings. 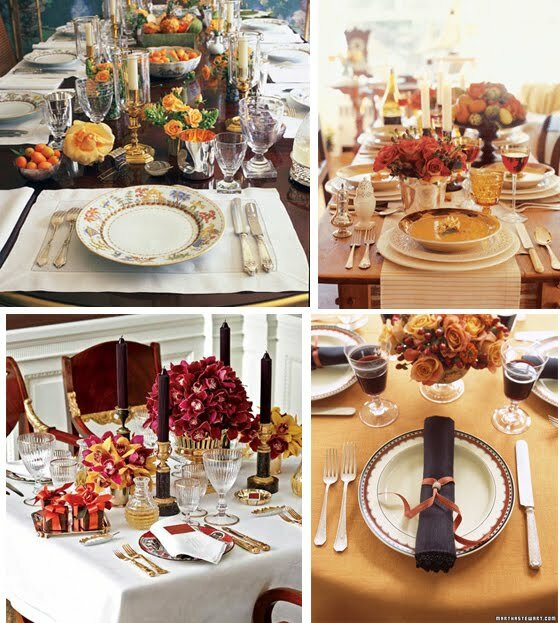 For fabulously festive Thanksgiving tables, I found that there were three main cateogories or themes: Pumpkins & Fall Fruit, Beautiful Fall Florals, and Rustic Chic. 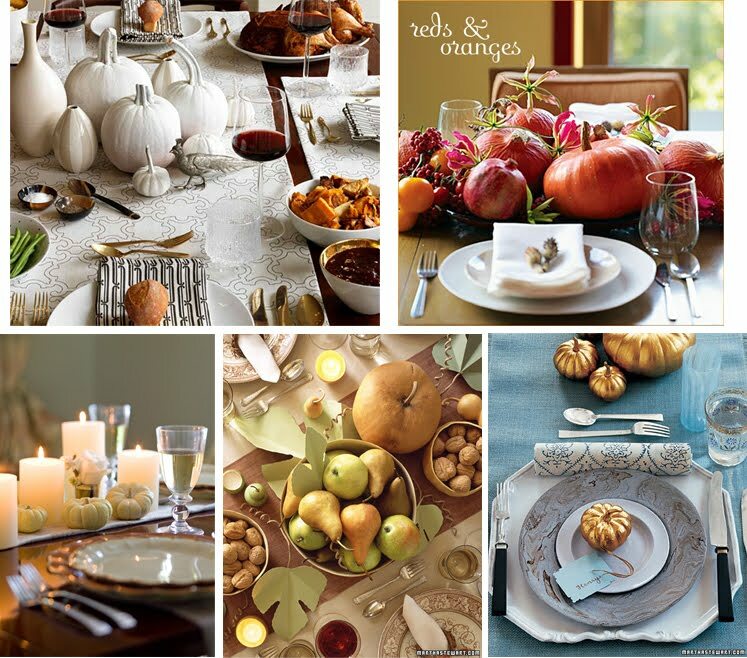 My inspiration photos were gathered from Martha Stewart (of course! ), Seasons For All at Home, Country Living Magazine, Design Public Blog, Traditional Home, and New York Social Diary. Hope you all have a beautiful holiday!